We are committed to ensure neat surrounding in your business premises. Our mowing services ensure that you have neatly cut grass all around your lawn. Flowers are precious and they need special attention to look good. With good attention dedicated towards them, we offer trimming services that make them look more beautiful. We also trim any overgrown trees to beautify your exterior and make it look appealing to your clients. In Mishawaka, you can get trimming services in your business landscape, from our company. We know the secret that will make your grass greener and more beautiful. Our experience commercial landscaping has given us the best lesson on how to fertilize your plants to make them grow uniformly and healthier. We have knowledge on the best fertilizers to use and on what particular plants to apply them on. At Michiana Commercial Landscape, we can do all things tree. From pruning, trimming, felling to log designing, we can do all that. 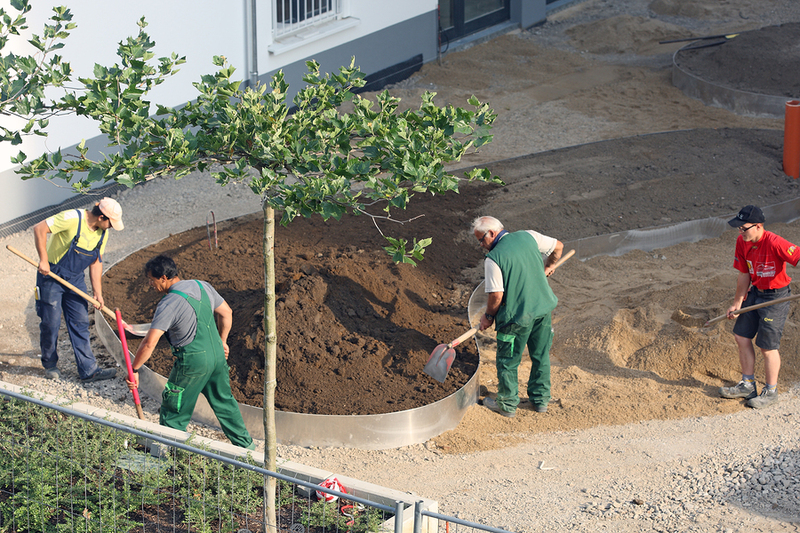 Our diverse commercial landscaping knowledge enables us to have tree specialists who can cater to your needs. To consult on how you can receive our services in Granger, you can call us through the number at the bottom. Trees when well planted and placed in the right position can be a great add on to the exterior beauty. As a commercial landscaping company, we are well equipped and have the knowledge to plant or transplant the kind of tree that could match your landscape. Excess leaves that are shed during fall and spring seasons can be a great bother and annoyance to people passing through your paths and corridors. Michiana Commercial Landscape is ready and prepared to save you the embarrassment from your clients. We conduct timely schedules to clean up the leaves that fall timely. During winter, a lot of snow falls and prevents a lot of business from moving forward. Snow could also block paths and parking lots discouraging clients from coming to your business. This causes you to lose clients who would have maybe become long partners and even restrains profit.We can clear your parking lots and footpaths to make sure your business moves smoothly. 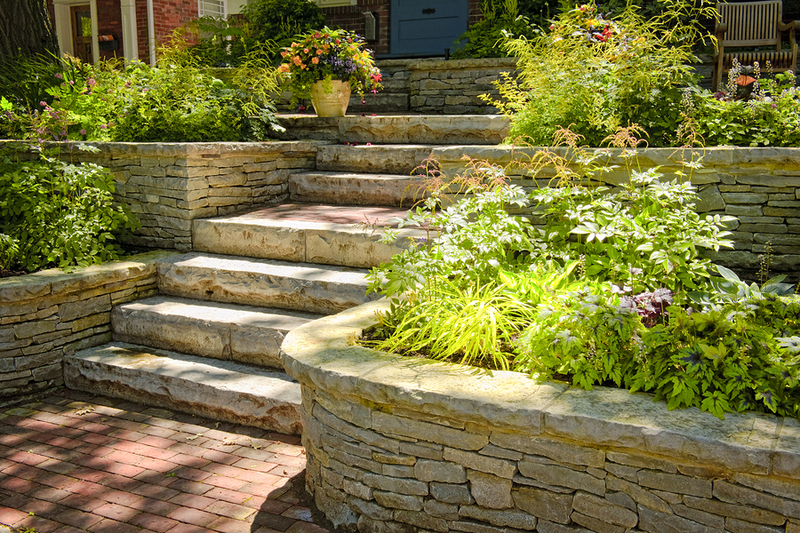 Michiana Commercial Landscape assists you with every aspect of your landscape from changing perennial color of your flowers, placing accent stones, including plants and trees to lawns. We apply lawn design and installation techniques to make your outdoor elements seamless. Your business outdoor needs are met simply and efficiently. Edge walks, curbs and driveways should be well kept and tidy to give your business a neat and clean look that will be envied by the clients and other businesses. We offer services that will maintain a neat environment clear of dust that may be eroded or any other dirt or trash. Our regular cleaning checkups will ensure timely removal of that dirt. We have vast experience in building and designing of patios, customized driveways and stone walkways. Our projects add authenticity and powerful distinction between various areas of your business landscape. Hardscapes help prevent erosion by compensating for vehicle and foot traffic that could slowly eat into the soil. Proper landscape design and installation on commercial property reduces maintenance costs dramatically and leaves the space very beautiful. We also keep your sidewalks and driveways by preventing erosion. We service the soil with a retaining wall that holds back the soil. Using a material carefully selected to match the environment from concrete, timber, ballast, boulders or stone blocks, we cover the soil to prevent it from popping out to cause dirt. We design and build commercial fences. To enhance the security of the business, we make a strong fence that will prevent unwanted elements that may want to cause loss or harm. The strength of the fence does not interfere with its beauty. The fence is well designed to match the theme of the company and to attract potential clients. The interiors of the business should be cleaned to prevent any infestation of mildew, mold, loose dirt, spider webs and dust. Our professionals are well trained to wash your surfaces effectively using pressure washing method. Pressure washing is effective and thorough in cleaning as it removes all kinds of dirt to the smallest stain. It is also time and cost saving. We can also do your lawn from scratch by planting grass on your business yard. 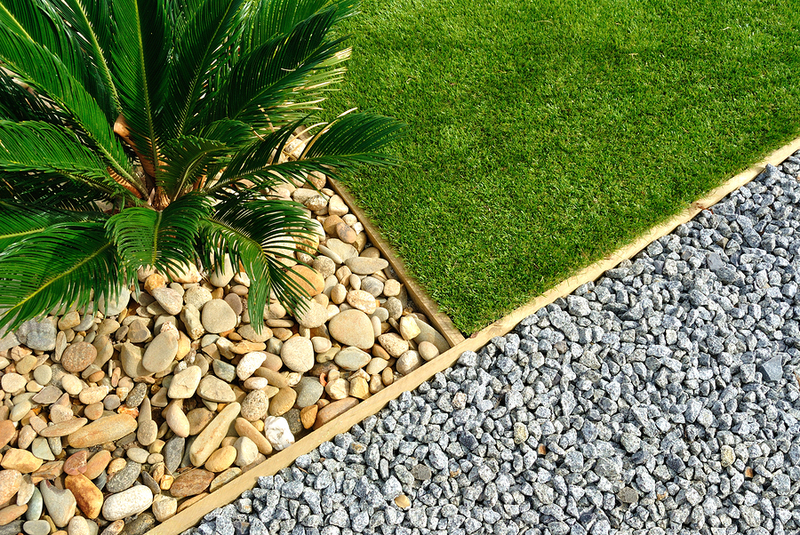 Using our vast knowledge in landscaping we can be able to select the best kind of sod for your compound. We also take care of it until it is good to survive for the longest period. We are WDATCP Certified and Licensed to eliminate dandelions and other stubborn weeds from your lawn. With the right knowledge of the best ways to prevent the weed from creeping and spreading in your yard, we are best suited for the job. Michiana winters can be harsh, dark and long. Ice and snow covers most roads and sidewalks restraining movement thereby stalling business. As a commercial property, it is important to ease the movement of your customers by clearing parking lots for customers throughout winter. This way you keep your customers safe and maintain your profits in this trying season. Michiana Commercial is ready to work with you to make this possible through various services. In times of the winter when the ice piles up in your landscape, we are there to assist in melting to ease movement of business. We also assist in the removal of snow which piles in your sidewalks, driveways and working area making movement difficult. Our services also extend to the movement of people and commodities when the snow or ice becomes unbearable and almost causes complete shutdown of movement.